TSB for rear end vibration? Literally was just reading about that, and about to go tighten them now! Sounds like 80 ft/lbs seems to be good? Mine feels sloppy when shifting, and has a drive-reverse clunk, hoping that may solve that issue too. Hey everyone, I've been reading on the forums for a month now, and figured I'd finally create an account. 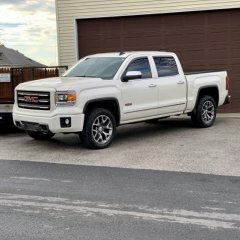 I bought a 2015 Sierra 1500, 5.3, 4wd, All Terrain Package (Z71), crew cab with the 3.42 rear end and 6 speed trans about a month ago. It has the rear end shake which I did not notice on the test drive of course. Starts around 75 and continues from there on up in the rear end. Have had the tires road force balanced, which they were out, but did not solve the issue. Dealer will be performing a picotest on Monday the 11th, but I don't see it going anywhere. If it doesn't, I'll be starting with a driveshaft balance, the rear rotors (even though mine are new), and possibly axles if needed. What I'm looking for, for now, is the TSB for the rear shake issue, where they run this picotest and everything. I found it once before, but can no longer find it, and neither can the dealer. Does anyone have this TSB information? I believe there were several steps where they start with the pico test, RF balance, driveshaft balance, and so on. If I can't get this taken care of I'm dumping the truck. Can't live with the vibration. I apologize if I'm posting incorrectly, and please inform me if I am. I've never posted on a forum before! Thank you in advance!! Hey everyone, I've been reading on the forums for a month now, and figured I'd finally create an account. 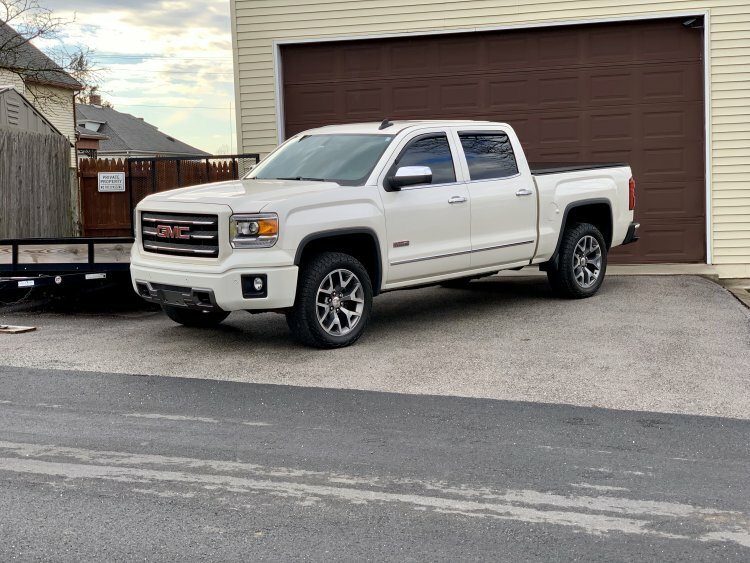 I bought a 2015 Sierra 1500, 5.3, 4wd, All Terrain Package (Z71), crew cab with the 3.42 rear end and 6 speed trans about a month ago. It has the rear end shake which I did not notice on the test drive of course. Starts around 75 and continues from there on up in the rear end. Have had the tires road force balanced, which they were out, but did not solve the issue. Dealer will be performing a picotest on Monday the 11th, but I don't see it going anywhere. If it doesn't, I'll be starting with a driveshaft balance, the rear rotors (even though mine are new), and possibly axles if needed. What I'm looking for now, is the TSB for the rear shake issue, where they run this picotest and everything. I found it once before, but can no longer find it, and neither can the dealer. Does anyone have this TSB information? I believe there were several steps where they start with the pico test, RF balance, driveshaft balance, and so on. Thank you in advance! If I can't get this taken care of I'm dumping the truck. Can't live with the vibration.